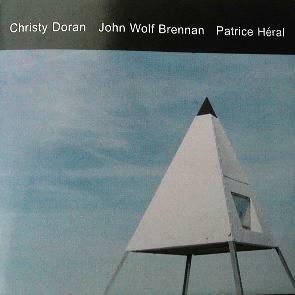 It's been almost ten years since the release of the first recording by Irish-born Swiss-residing Christy Doran and John Wolf Brennan (Leo Lab 015 Henceforward) which explored their Irish roots and many varied paths they have taken since. 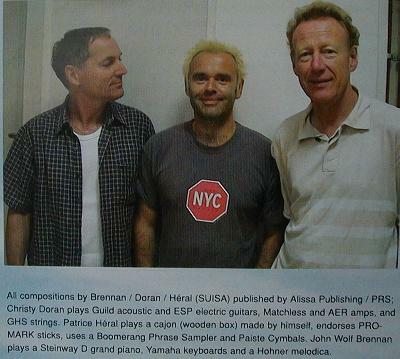 On this recording they are joined by the French percussion shaman Patrick Heral, a veteran of many leading European groups, including the Vienna Art Orchestra and ensembles with Mark Stockhausen. The three virtuosi triangulate among genres, moods, pacing, attack and pause, throwing into the pot their huge experiences of playing jazz, rock, and new music. Recorded August 24, 2003 at Hardstudio Winterthur, Switzerland by Moritz Wetter.